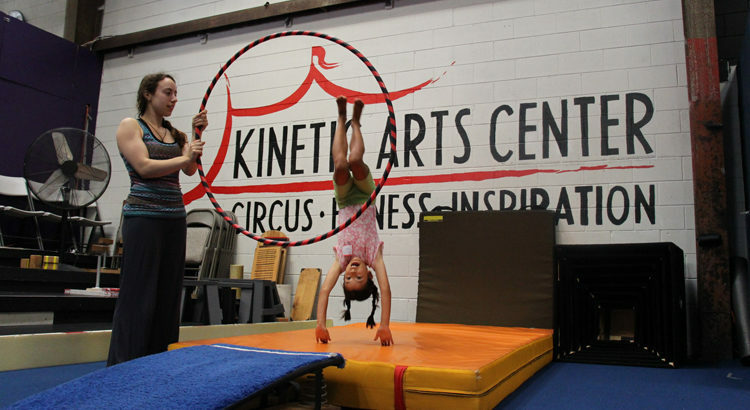 Hold your next Birthday Party (or other celebration) at Kinetic Arts Center! You bring the guests. We supply the circus! Great for Kids OR Adults! Our classic two-hour party (15-25 participants). Offered on Sundays, 12pm-2pm OR 3pm-5pm. *Anyone actively participating in the instructional portion of the event is considered a participant. Parents, grandparents, aunties, etc are welcome to attend at no charge. Join us for an Aerial Party! Private 1.5 hour aerial party (up to 8 participants). Offered on Saturday (afternoon) or on Sundays (time negotiable). Ask us if you are interested in a larger party! Please Note: Within 30 days, cancellations are not refundable. Prior to 30 days, cancellations are refundable less a $50 fee. Your party may or may not be the only event running in the facility. We reserve the right to book multiple events simultaneously. Circus Arts Party: Features select acts from our pre-professional Circus Spire performers, circus activities including fun with juggling, hula hooping, stilt walking, acrobatics, clowning and aerial equipment (Trapeze, Rope or Tissue). Appropriate for all ages! Special Offer! 3 Classes for $50! Table Cloths, Paper Products and Utensils. Lots of Birthday/Party Friends and Family! Performer/Coach Gratuities are Greatly Appreciated. We do not have a kitchen – Coolers are Welcome. Email us anytime with updates or questions (info@kineticartscenter.com). 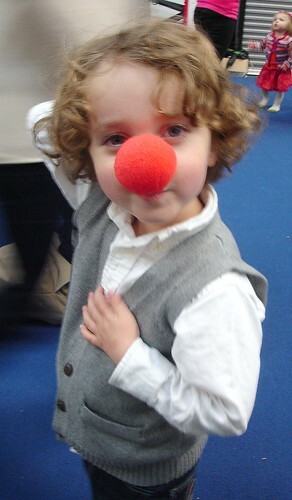 We want you to have the best circus party ever! We staff parties based on the number of guests. If your RSVPs change enough to move you into or out of a number tier, please let us know ASAP. Although we throw a great party, we cannot guarantee that we can staff up or call off an additional coach less than 2 weeks prior to your party. 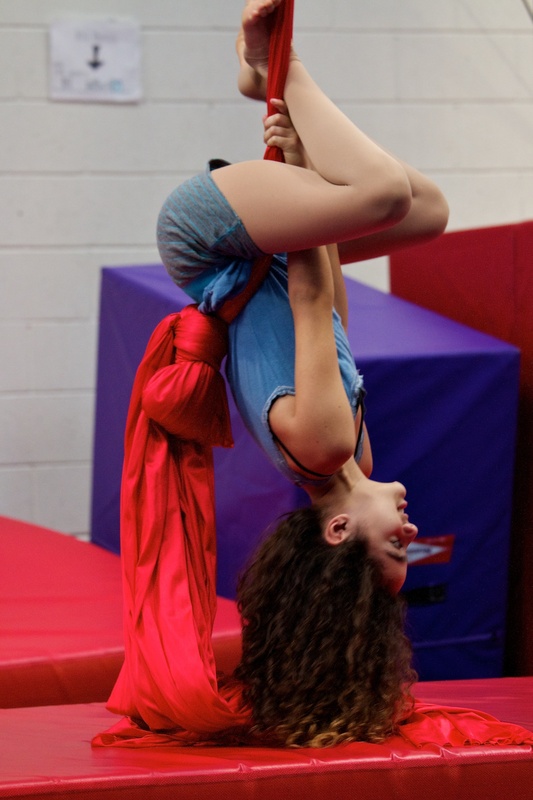 Aerial Arts Parties are GREAT for Youth, Teens & Adults TOO! Aerial Arts Party: Features a private 1.5 hour aerial class with a skilled instructor. Class content will be customized to meet the level of the party guests so that we are sure to provide a fun challenge! Choose from Trapeze, Rope, Tissue & Aerial Hoop! Appropriate for participants 8 years and older. Special Offer for All Guests! 3 Classes for $50! Instructor Gratuities are Greatly Appreciated. Book your party today! We gladly accept reservations and payment over the phone. 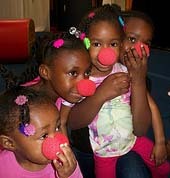 Call us to book a Birthday Party for your child (or yourself) at Kinetic Arts Center 510-444-4800. Click here to download our printer friendly information and booking form!